Born in Dartmouth, Nova Scotia, Gertrude Frazee enlisted in the Canadian Army Medical Corps in 1917 and was posted to Liverpool. She returned to Canada in 1919 and in 1920 enrolled in the first Public Health Nursing diploma course at UBC. She never married, and a family anecdote suggests her fiancée died in the sinking of the Titanic. She worked as a nurse in the Vancouver area, much of it with her brother who was a chiropractor in Richmond. She died in Shaughnessy Hospital. Sheila’s hospitalization for major trauma and post accidental trauma when she was six motivated her to be a nurse. 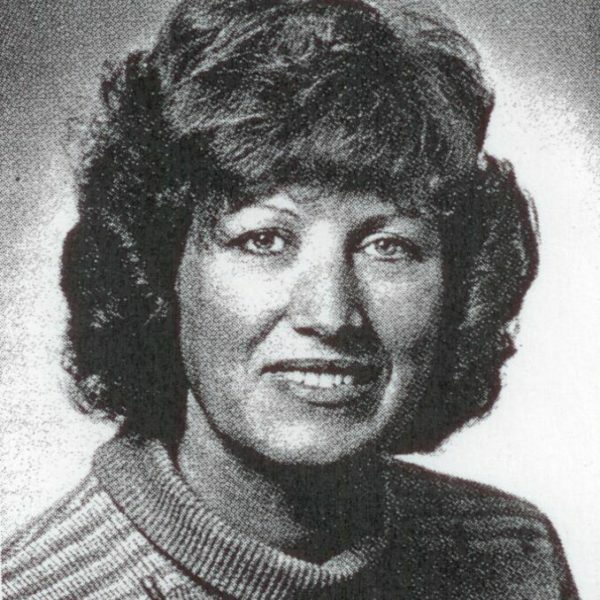 She majored in Teaching and Supervision at the University of Saskatchewan, receiving her RN in 1968 and her BScN with distinction in Teaching and Supervision in 1969. Through her work in three Emergency Departments she became a highly skilled ER nurse. She became a BC resident in 1988, co-developing the Sexual Assault Nurse Examiner Program in Vancouver. She also developed the first SANE program in BC in response to patient care for those who presented in ER as the victim of a sexual assault. She has held several positions in RNABC. 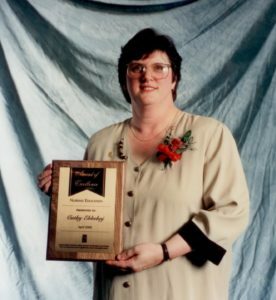 From 1995 she was a member of the International Association of Forensic Nurses. Two photographs at RNABC awards, April 2002. Cathy’s main specialty is the concerns of postpartum women who have experienced a high risk pregnancy. She graduated from the UBC School of Nursing in 1975 and completed her MSN in 1999. From 1978 until 1998 she taught at the VGH School of Nursing, and subsequently at the UBC School of Nursing. She received the RNABC Award of Excellence in 2000, and has played a major role in establishing a drop in clinic for pregnant women living in UBC housing. Cathy is committed to the UBC School and believes it is important to build connections among Alumni. She successfully networks and socializes with new and older gradates. Because these efforts, in 2005 she was awarded the UBC Alumni Association’s Blyth Eagles Volunteer Leadership Award. 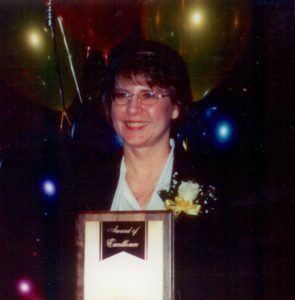 Supporting letter for award of excellence in nursing education, April 2000. Concerns of Postpartum women who have experienced a high risk pregnancy. Born in Penticton, Ellis graduated from Baltimore’s John Hopkins School of Nursing in 1915. 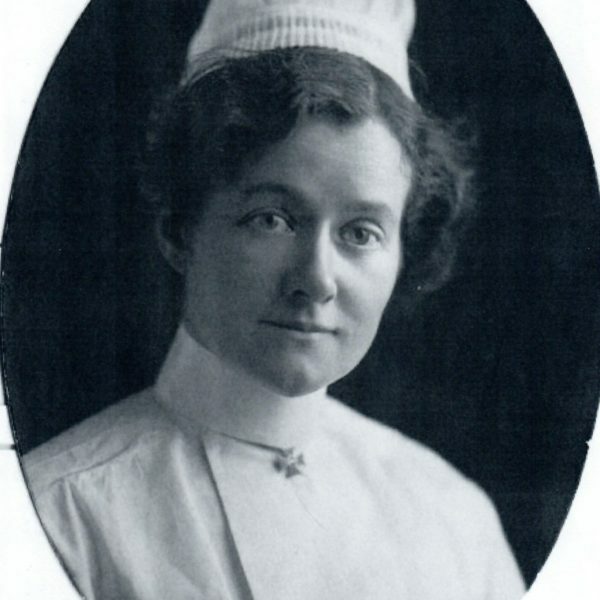 During WW1, she was matron of the Vancouver Island Military Hospital in Victoria. 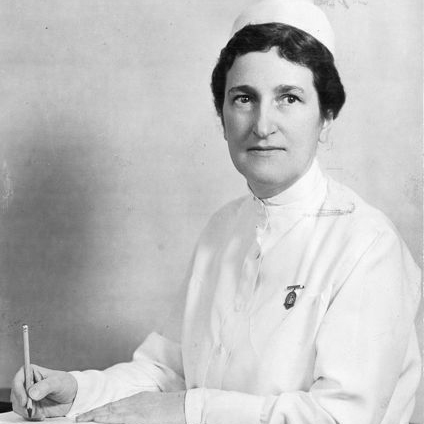 After positions in Detroit and Toronto, she returned to Vancouver to become Superintendent of Nurses at the Vancouver General Hospital and Principal of the School from 1921 to 1929. In collaboration with Ethel Johns, she helped develop the five-year baccalaureate nursing course at UBC and VGH. She was the 6th president of the Graduate Nurses Association of BC. 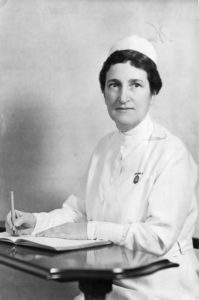 From 1931 – 1936, she was Director of Nursing at the Winnipeg General Hospital. During WW II she was secretary-treasurer and national emergency adviser for CNA. In 1937 she received a BS from Columbia University, New York and from 1930-1932, was First Vice-President of CNA. 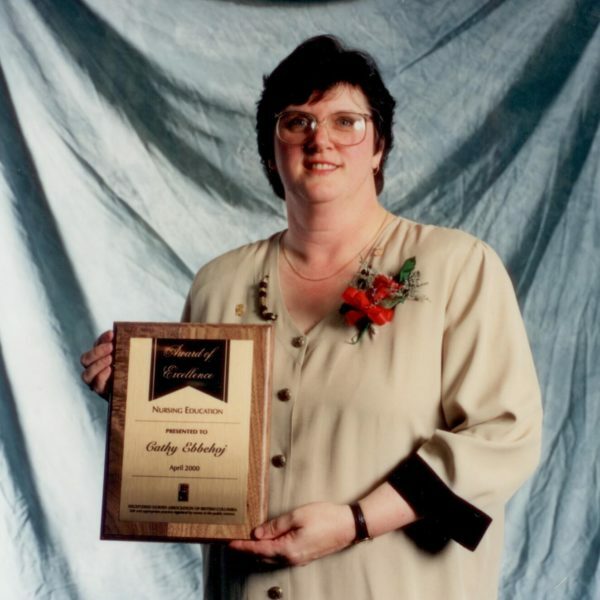 For 13 years, she was registrar for the Saskatchewan Registered Nurses Association. In 1938 she opened the University of Saskatchewan School Of Nursing and was Director of Education. 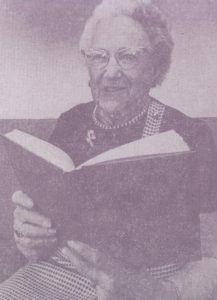 From 1946-1950, she was Professor and Director of the School where she remained until her retirement to Penticton in 1950. She received an honorary degree from the University of Saskatchewan in 1955 and a Centennial Medal in 1967. 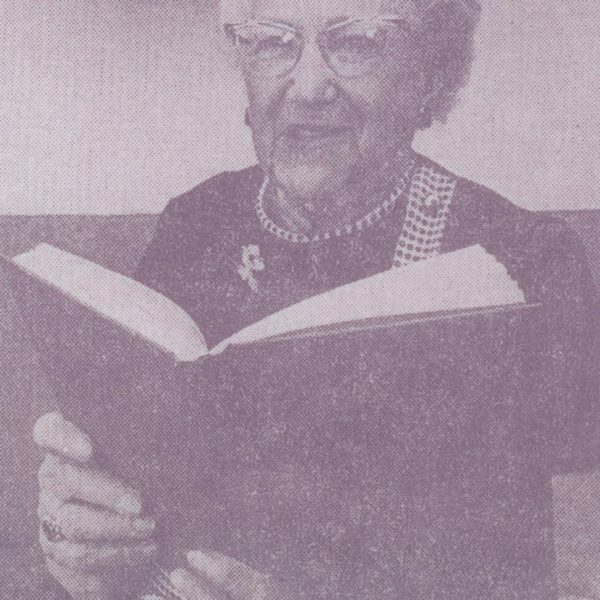 In 1956 the new nurses’ residence at the University Hospital in Saskatoon, was named “Ellis Hall” in her honour. Biographical Information file from The Canadian Nurse. Materials in support of nomination to the RNABC Memorial Book. U of S citation for the presentation of an honorary Doctor of Laws degree. Citation for 1967 Centennial medal. “Miss Kathleen W. Ellis”, The Canadian Nurse 26 (12) (December 1930), p. 649. “A Forward Step”, The Canadian Nurse 33 (5), (May 1937), p. 219. “The C.N.A. Appoints a General Secretary and National Adviser”. The Canadian Nurse 39 (9) (September 1943). “Nursing Profiles”, The Canadian Nurse 46 (11) (November 1950), p. 902. “Miss K.W. Ellis Honoured by University”, The Canadian Nurse, August 1955. Excerpt from Legacy: History of Nursing at the University of British Columbia. Her many administrative positions include vice-president of the American Hospital Association from 1916-1917, president of the RNABC, third vice-president of the International Council of Nurses from 1941-1953, and president of the CNA from 1938-1943. She received the Agnes Snively memorial medal in 1943 and a Centennial Medal in 1949. Dr. Helen Mussallem, one of her former students, comments that she “saw the nurse’s role extending beyond the hospital, and introduced into her nursing education program many types of clinical experiences that were real innovations at that time”. Materials in support of nomination to the CNA Memorial Book. “The Nursing and Treatment of Contagious Diseases as a Special Course,” The Canadian Nurse 12 (10), (1916) 571-574. “A Curriculum for Schools of Nursing in Canada,” The Canadian Nurse 27 (9), (1931), 476-479. “A New Teaching Device,” The Canadian Nurse 29 (6), (1933), 303-304. “So You are Coming to Vancouver,” The Canadian Nurse 31 (4), (1936), 154-155. “An Open Letter,” The Canadian Nurse 34 (10), (1938), 579-580. “The Snively Medal Awards,” Ellis, K. “Grace M. Fairley,” The Canadian Nurse 38 (6), (1942), 383-384. “Ready for New Tasks,” The Canadian Nurse 39 (4), (1943), 259-260. “An Honour for Canada,” The Canadian Nurse 37 (11), (1941). “Nursing Service Recognized,” The Vancouver Sun, May 4, 1949. Campbell, Marjorie Campbell. (1956). Miss Grace M. Fairley (pp. 94-113). In Campbell, M.C., The Hamilton General Hospital School of Nursing 1890-1955. Toronto: Ryerson Press. “Crusading Nurse Dies,” Nursing Times, August 7, 1969. Paulson, Esther, “Memories of Grace Fairley,” February 1999. Obituary, The Canadian Nurse 65 (5), (1969), 18. Helen Faulkner received her RN in 1937. Most of her work was centered on St. Eugene’s Hospital in Cranbrook, mostly in maternity. From 1968-1981 she worked in the ECU of Cranbrook and District Hospital. For twenty years she was deeply involved with the Saint Eugene’s Hospital alumnae annual dinner. Photocopy of graduation photo, 1937. Four photographs: Graduation portrait of Faulkner, and with fellow students and others. Margaret graduated from the Vancouver General Hospital School of Nursing in 1918. She recalls twelve hour shifts that started at 7 am after the daily service. Student nurses were paid from $6 to $10 a month. One room was kept for Orientals, and in the basement Ward X housed the isolation cases and mental patients. She left to raise a family but returned after WW II. 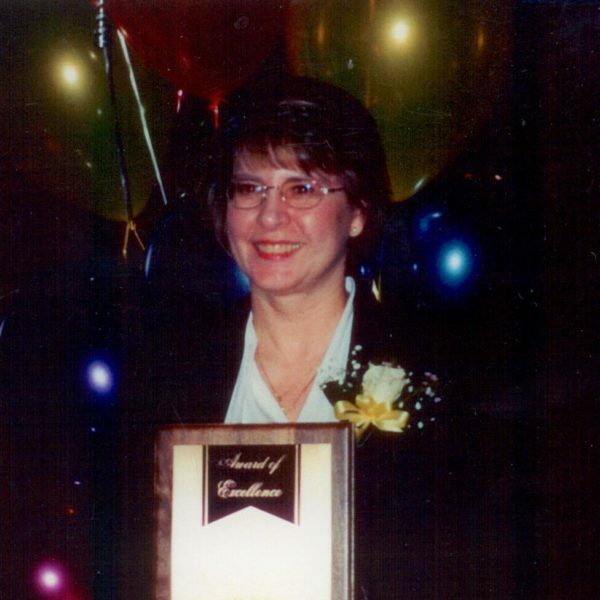 For thirty years she was executive secretary for the over 6,000 member alumnae. 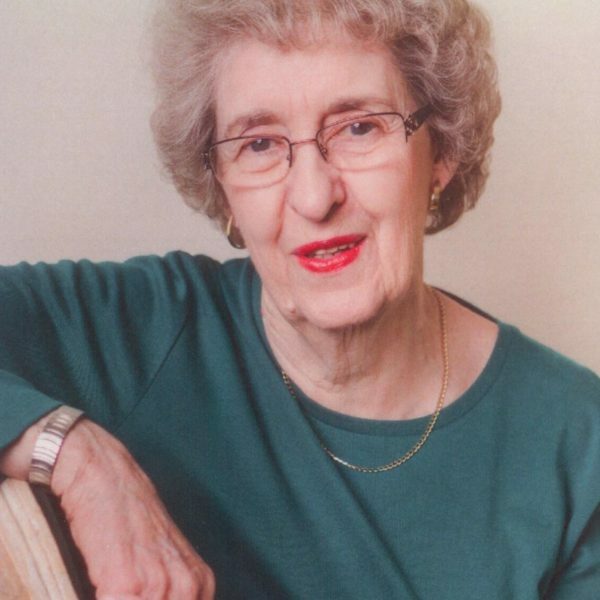 Jean was born in Scotland and in 1935 Jean began her nurses training in infectious diseases at Knightswood Infectious Diseases Hospital in Glasgow and in 1938 started her 3-year General Nursing Training at Glasgow Western Infirmary. She immigrated to Canada in 1951 and began and began her 27 year career at the Vancouver General Hospital mainly as an infectious disease specialist. She had three sisters and two brothers, one of whom was killed in action in WW II. Her awards include a Certificate of Honour from the British Red Cross for her work in smallpox, and the Van Dusen award for her hospice work. She was a life member of the Hospice and the VGH SON Alumnae Association, and a Paul Harris Fellow for the Rotary Club. Mary Fewster was born in Cardiff Wales and graduated from Guy’s Hospital in London. 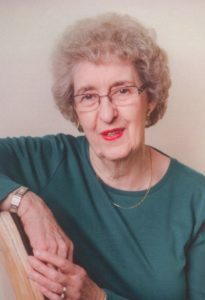 She moved to Canada in 1958 and soon after spent three years in Rhodesia as a nursing instructor and then moved to BC where she was an instructor at the Vancouver General Hospital School of Nursing. She had a BSN and MSN from UBC. 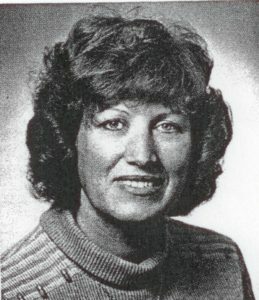 In 1975 she joined the faculty at Douglas College. She was a member of numerous nursing organizations such as the Nursing Education Council of BC, the Nurse Administrators’ Association of BC, and RNABC’s Board of Directors and Board of Examiners. Internationally, she served as a nursing consultant for WHO. and received an Award of Excellence from RNABC in 1987. During WW II Norma was a Nursing Sister with the Air Force in Europe. 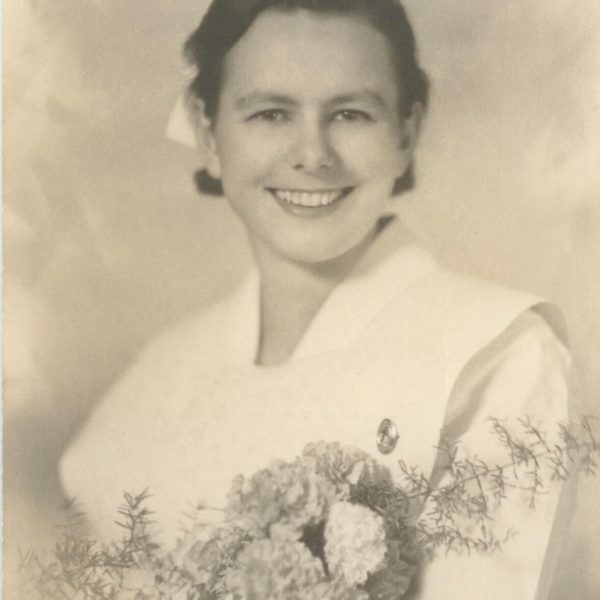 After the war she attended UBC, earning her Diploma in Public Health Nursing in 1947. She also earned a certificate in Teaching and Supervision from St. Paul’s, a bachelor’s degree in history (her first love), and a Masters in nursing from Columbia. Norma initiated a program in nursing at a community college in Kitchener, and a community clinic in Toronto. She was head nurse at Toronto Western Hospital for a year following the war, and later worked in Public Health in North and West Vancouver. 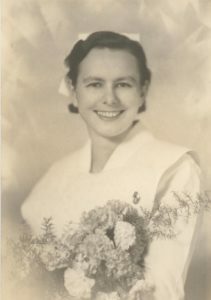 Beth graduated from UBC with a BSN in 1955, and later attended Yale University School of Nursing, where she received an MSN and certification in Nurse Midwifery. She worked as a staff nurse for VON from 1955-1957, and taught at UBC SON from 1957-1965. Most of her later career was in the US, where she worked in various positions, culminating with an Associate Professorship at the Southern Connecticut State University School of Nursing. In the late 80s she moved back to BC, working in obstetrics at the Richmond General Hospital. She also worked briefly as a Clinical Assistant in Community Health at the UBC School of Nursing and in the Diploma Nursing Program at Kwantlen College. She has been involved with many professional organizations and was a founder and co-ordinator of the East Haven Community Food Bank. She received the BC Historical Society Website Award. Transcript of oral history, June 25, 1993. Revised March 14, 1995. Information concerning Beth’s donation of materials to the Yale New Haven Hospital Archives. 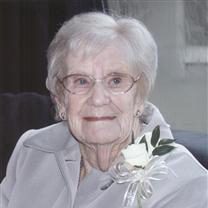 Margaret grew up in Invermere and graduated from St. Eugene’s Hospital in Cranbrook in 1945. She worked at a number of hospitals, including as supervisor of St. Joseph’s Hospital in California. She regrets that nursing has become more technical, with nurses now organizers and managers.